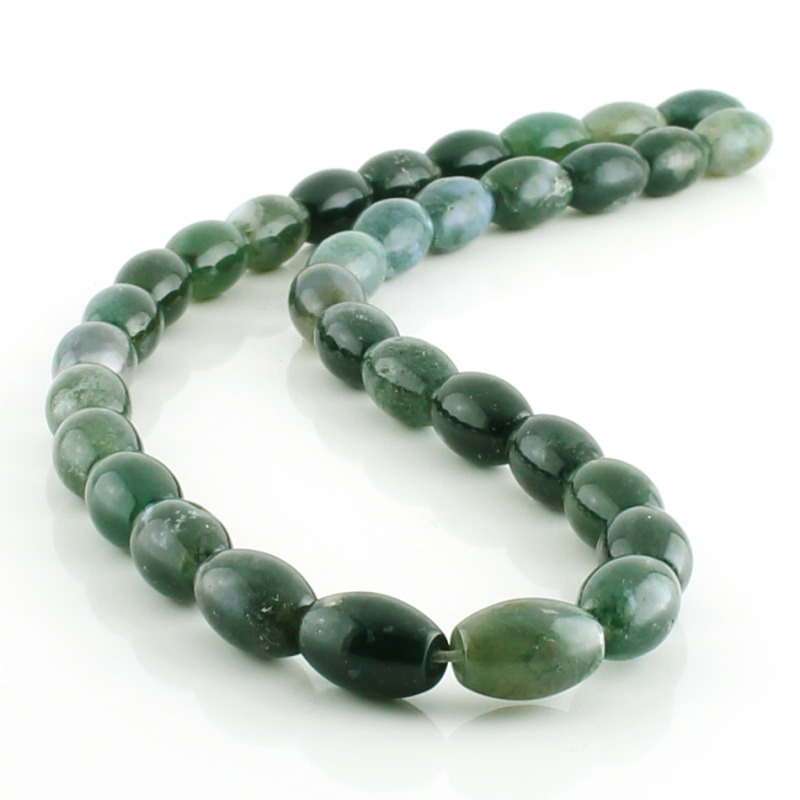 Moss agate olive shape beads. 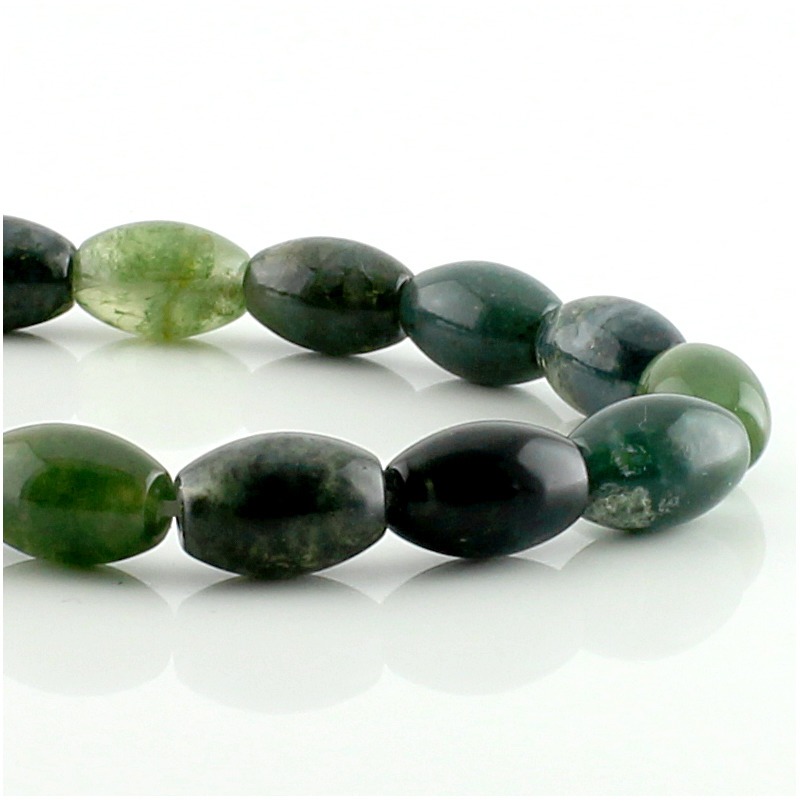 The moss agate olive shaped beads are holed and measuring 8 mm x 12 mm each one. They are ideal for making handmade jewelry and are presented enfilades on strands of about 40 cm. 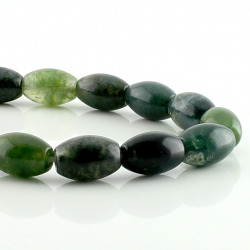 Each strand of moss agate olive shaped contains nearly 33 beads and weighs about 35 grams. This variety of agate, has internal inclusions, similar to moss, has several tones but its predominant color is dark green.